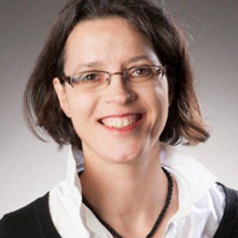 Séverine Deneulin is Senior Lecturer in International Development. Her research is in ethics and development policy. She specialises in the ethical framework of the capability approach and in Latin America. She also researches the role of religion in international development and social justice. She teaches a module on human development and the capability approach in a Masters at the University of Bethlehem in the Occupied Palestinian Territories, and, by distance-learning,at the Facultad Latinoamericana de Ciencias Sociales (FLACSO) in Argentina. She is the Secretary of theHuman Development and Capability Association. In August-December 2014, she was on sabbatical research leave in Buenos Aires to collaborate with the Interdisciplinary Programme on Human Development and Social Inclusion at the Catholic University of Argentina. Séverine holds an MSc in Economics from the University of Louvain (Belgium) and a DPhil in Development Studies from the University of Oxford.